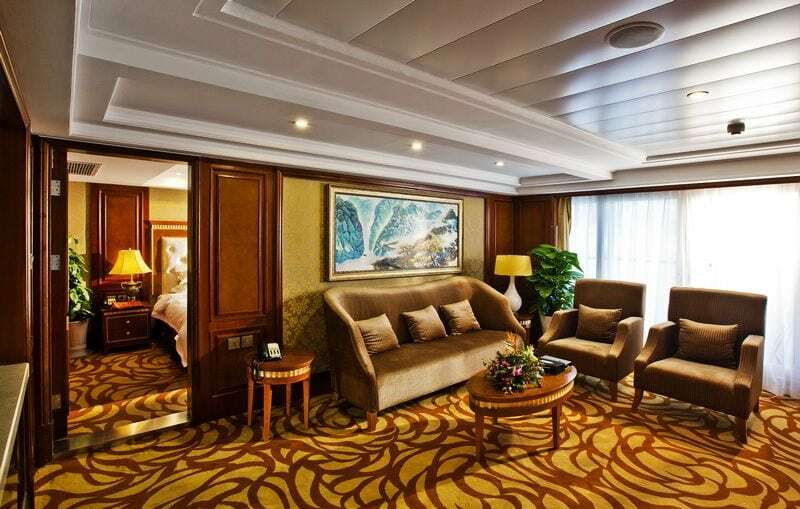 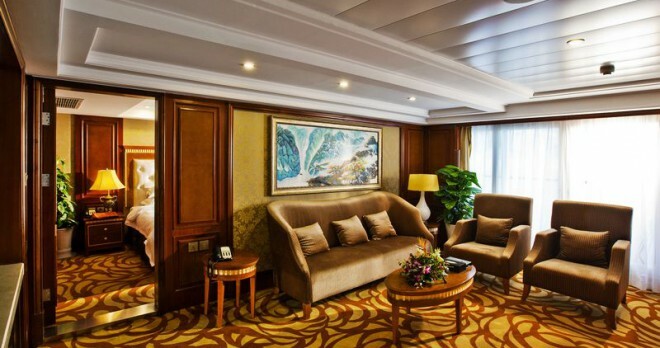 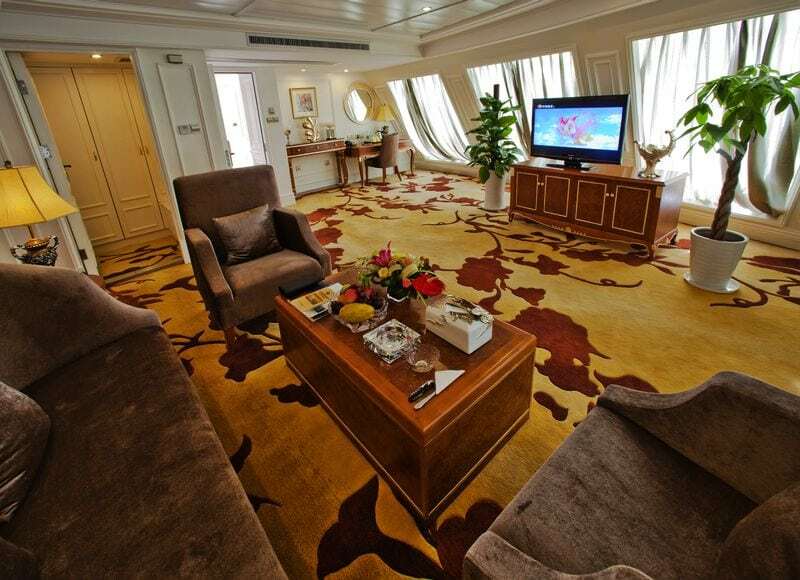 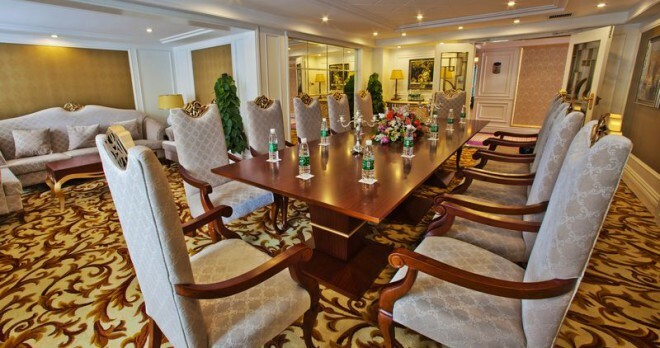 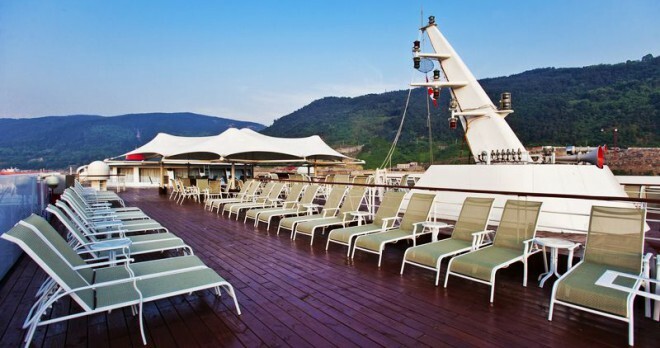 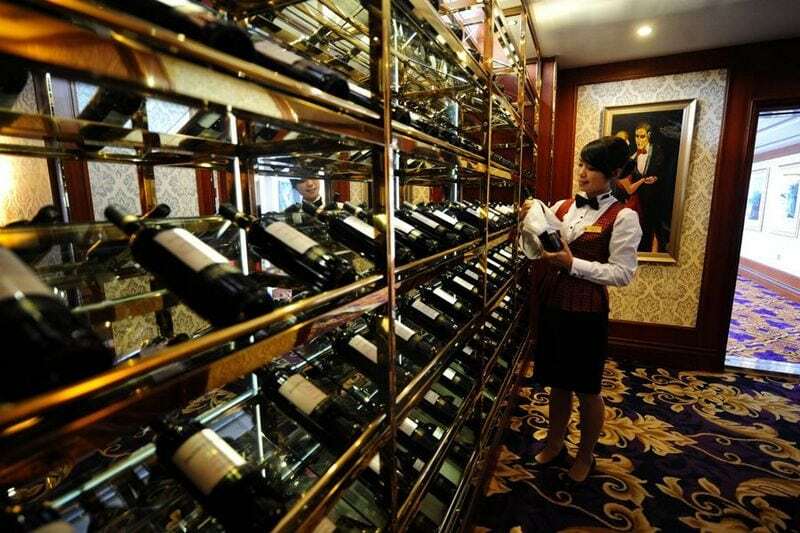 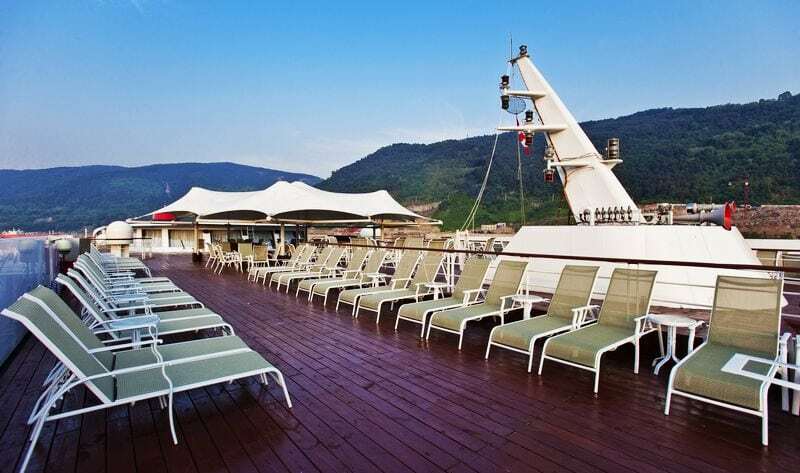 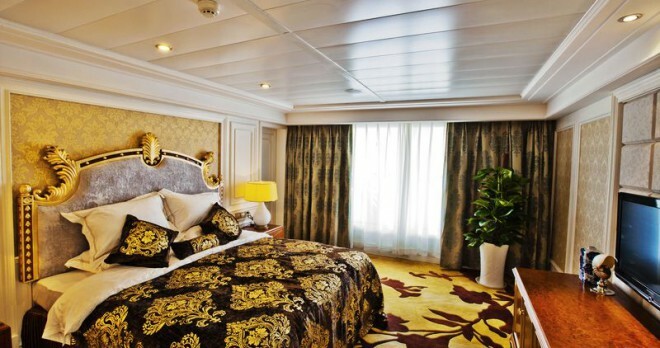 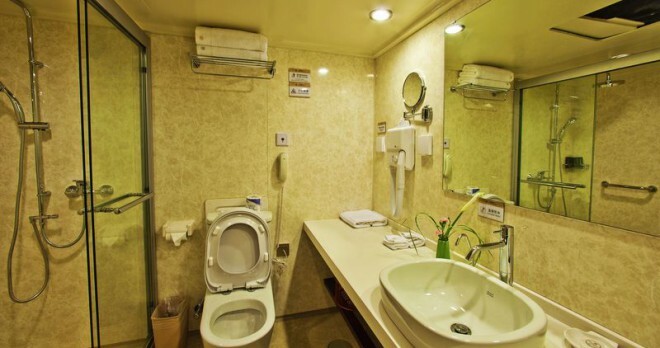 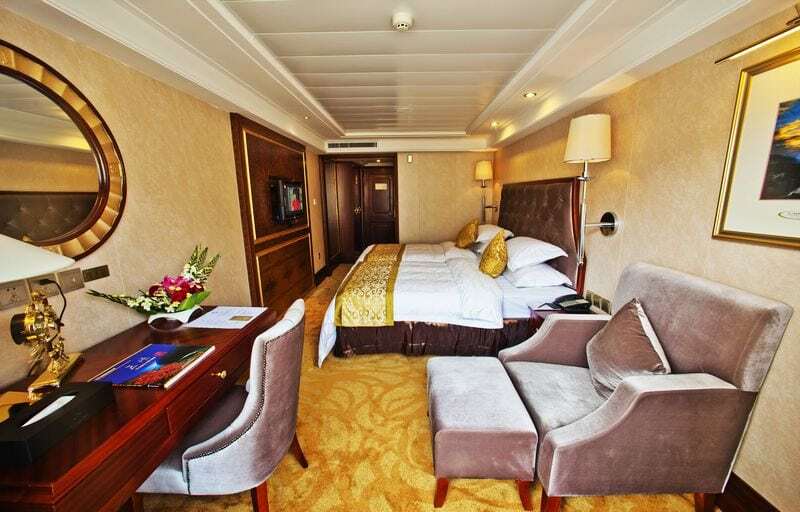 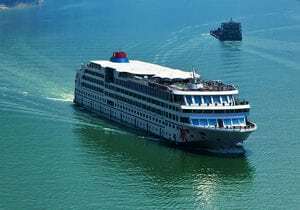 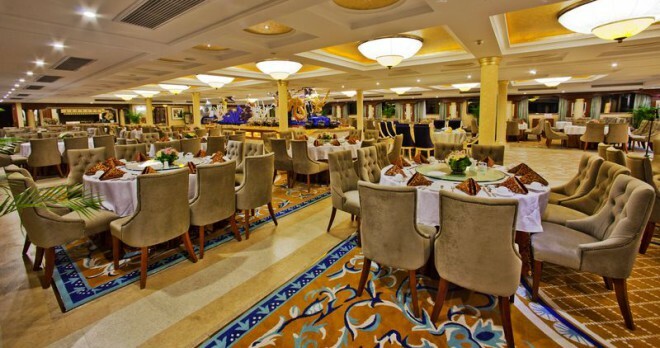 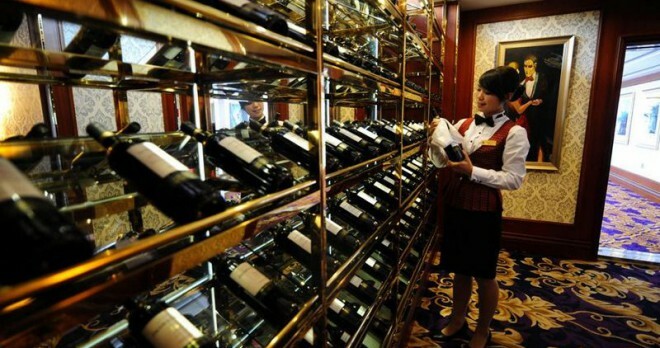 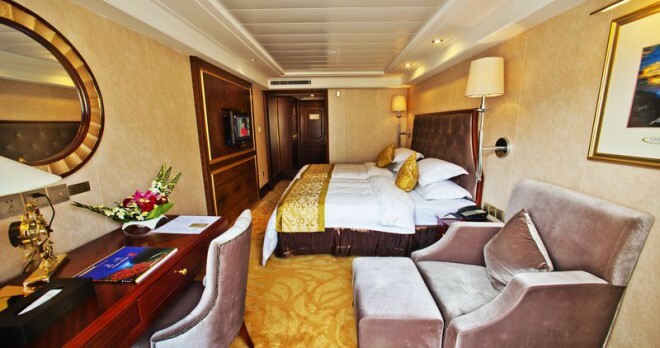 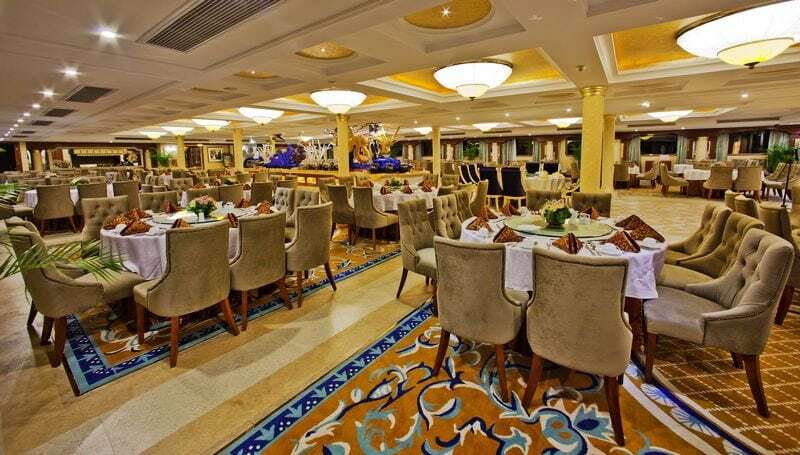 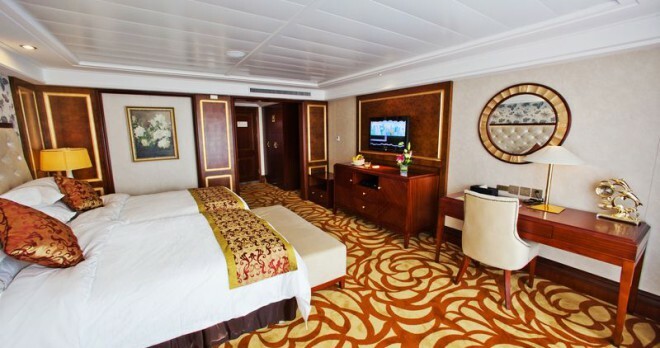 Yangtze Gold 1 cruise ship is one of the latest super luxury Yangtze River cruise ships. 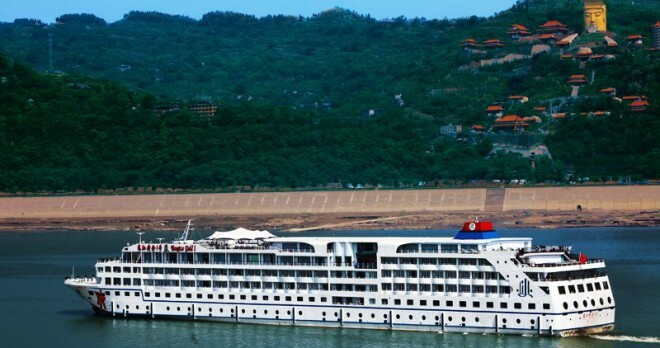 The total tonnage of the ship is 1.4 million tons. 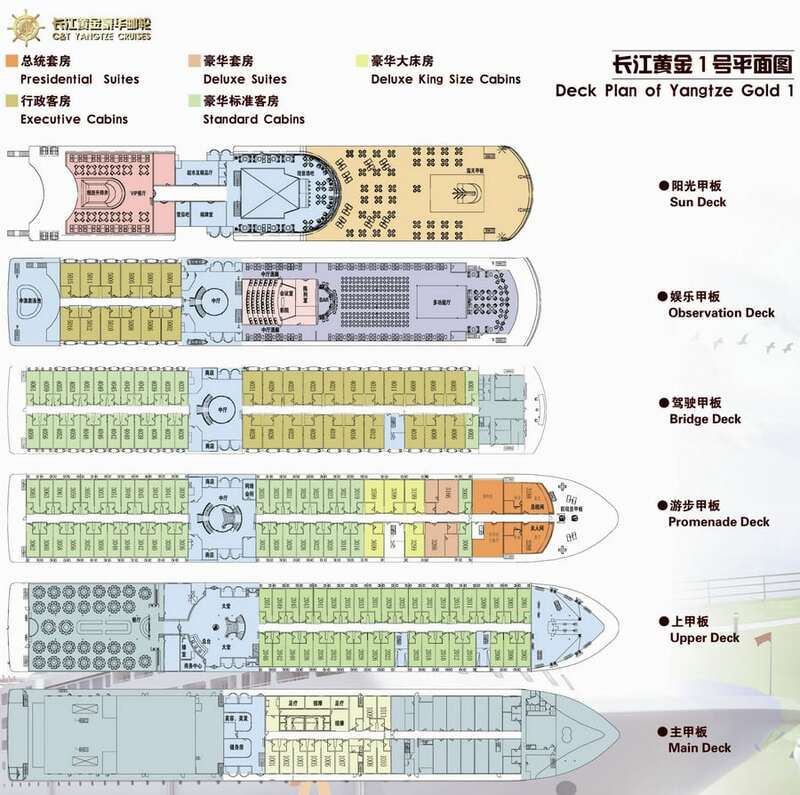 It is 136 meters long, 19.6 meters wide and 6 decks. 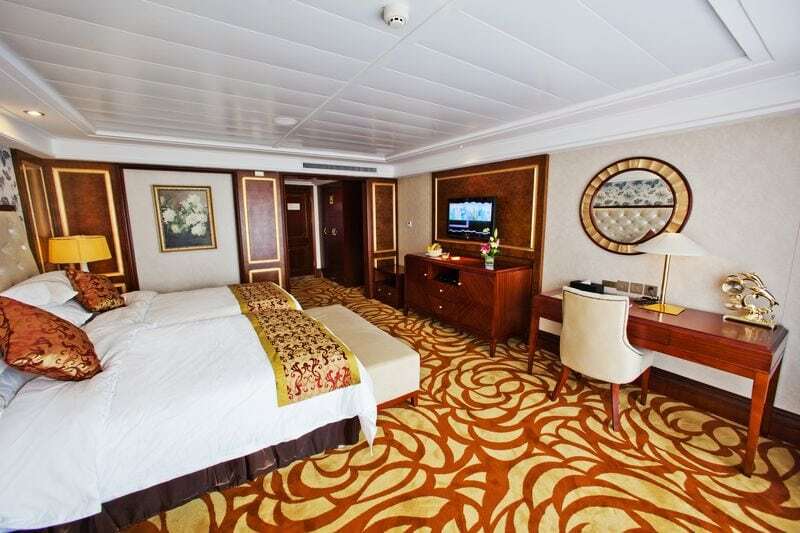 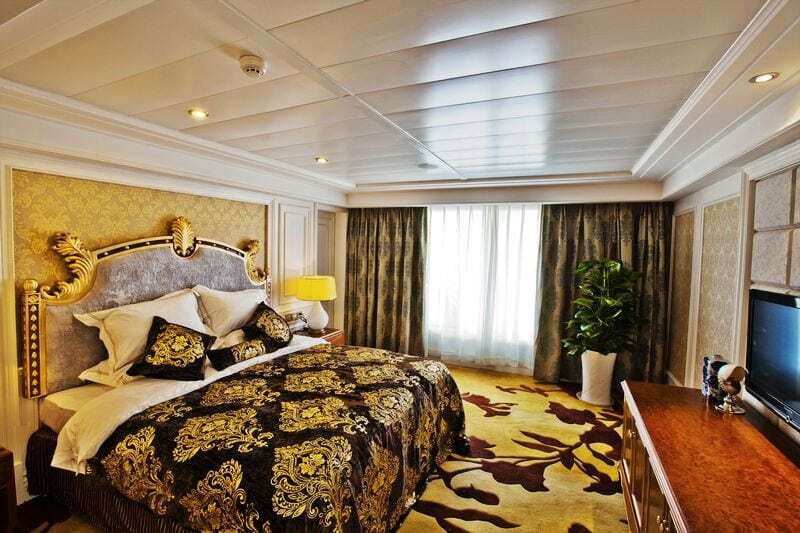 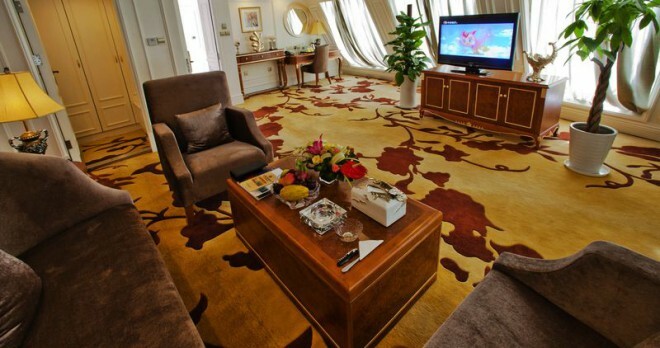 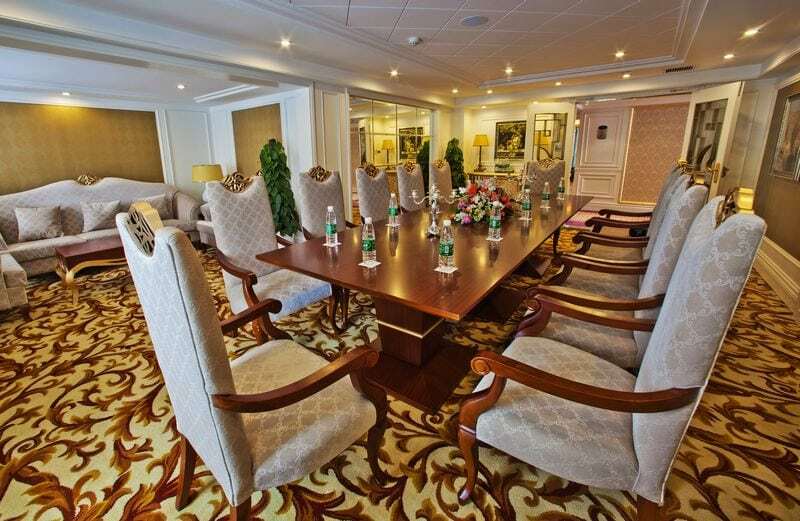 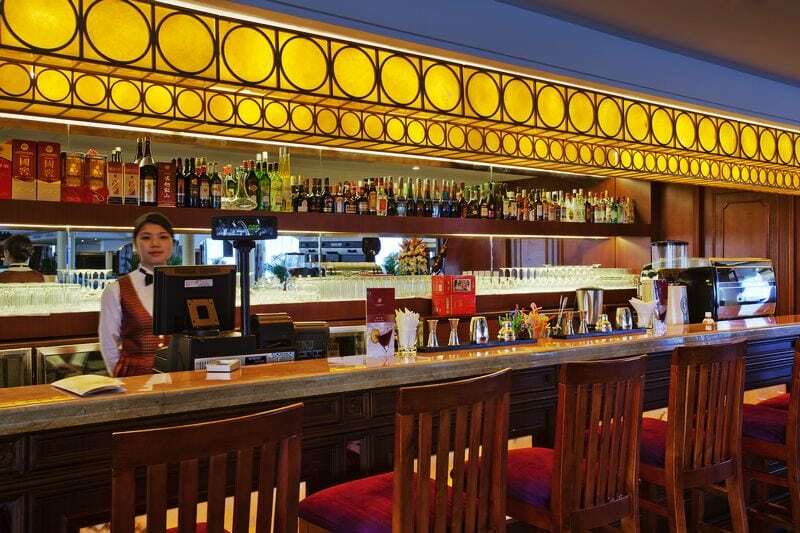 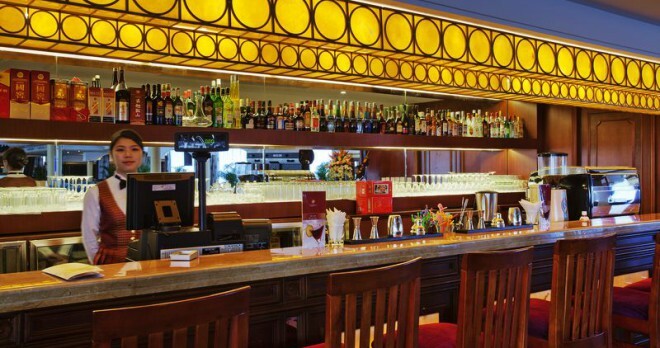 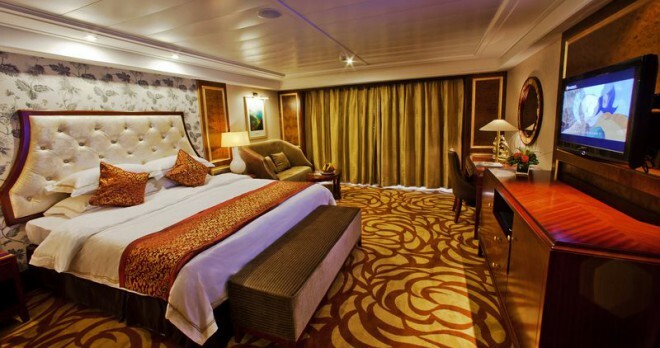 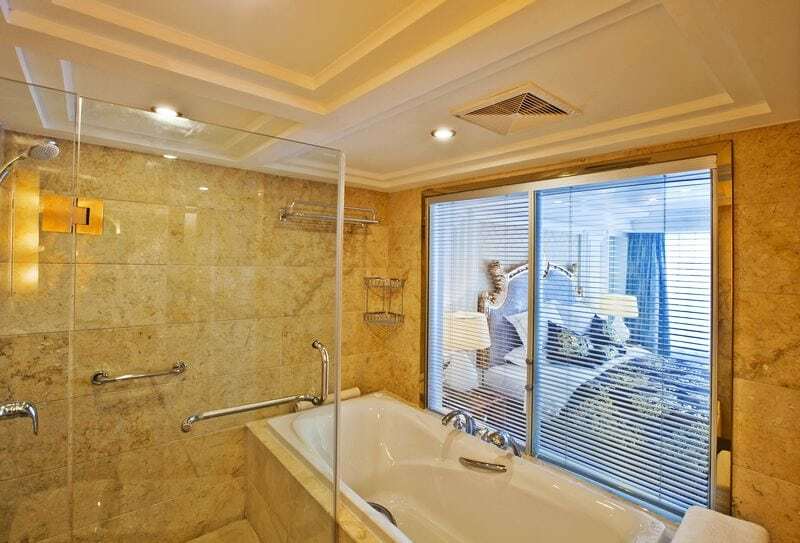 There is 158 cabin rooms: 106 standard cabins, 5 single deluxe rooms, and 4 deluxe suites and presidential suites. 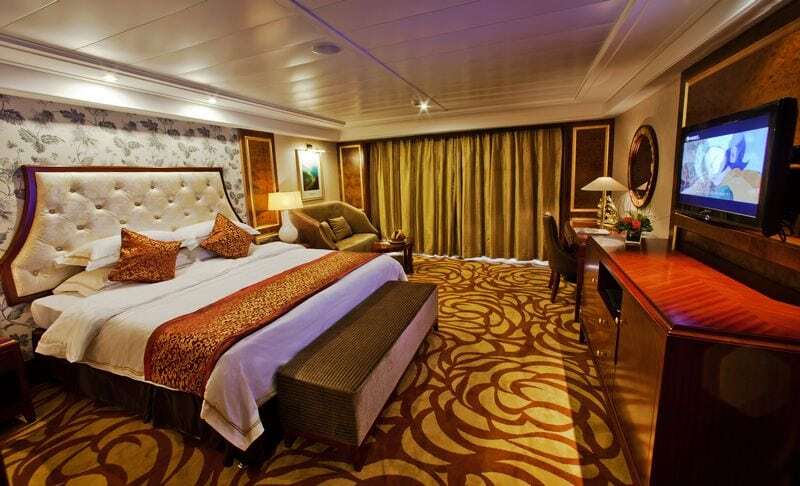 This cruise has 33 family friendly standard rooms. 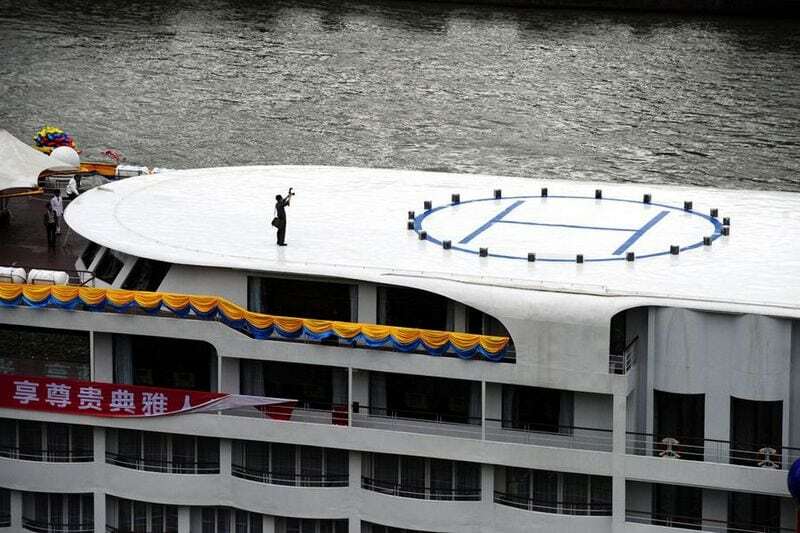 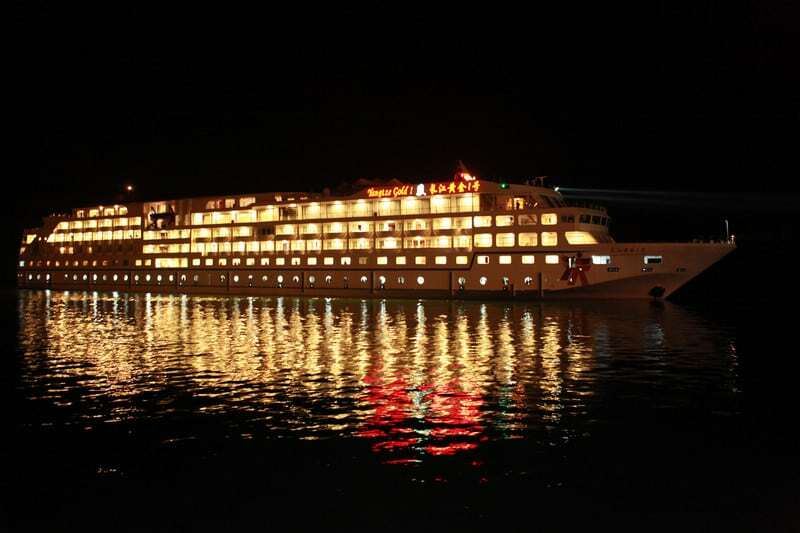 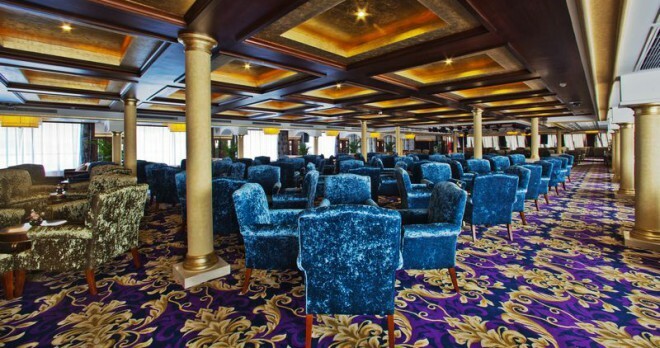 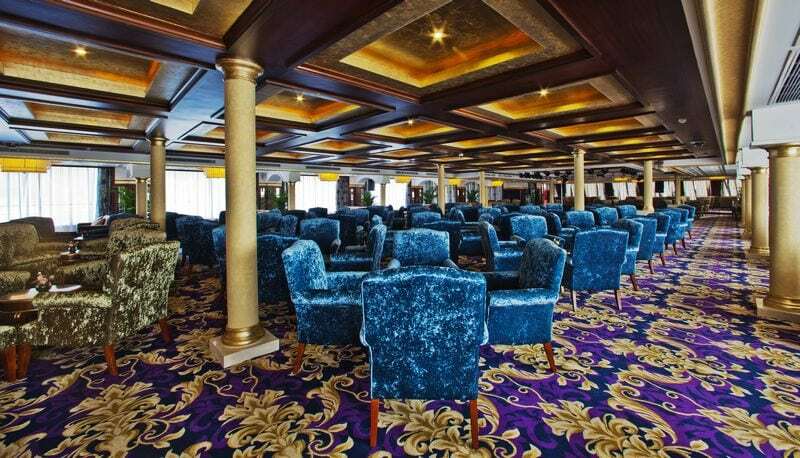 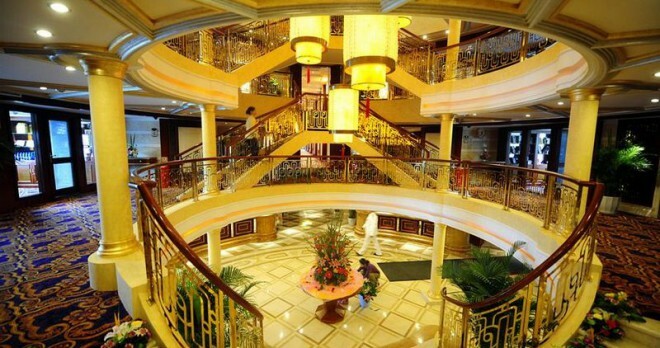 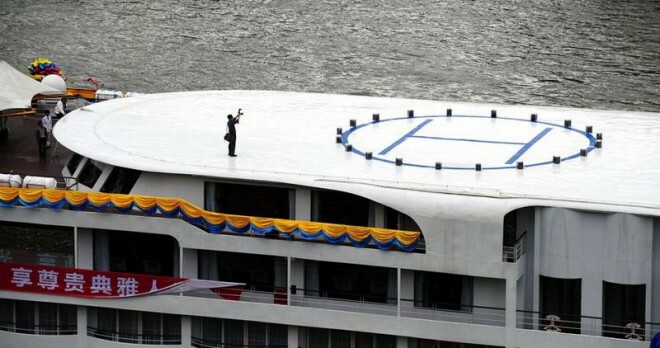 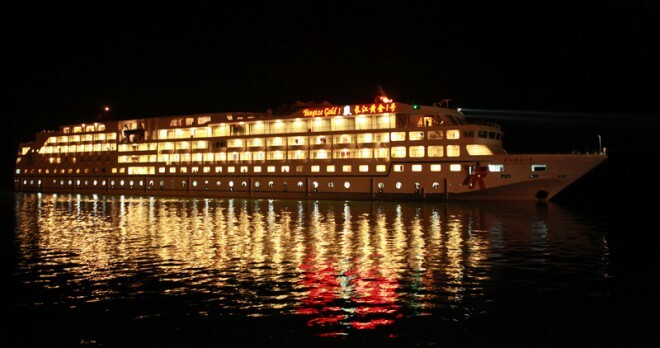 Yangtze Gold 1 is currently the one of the largest Yangtze cruises on the river, total building cost is 20 million USD. 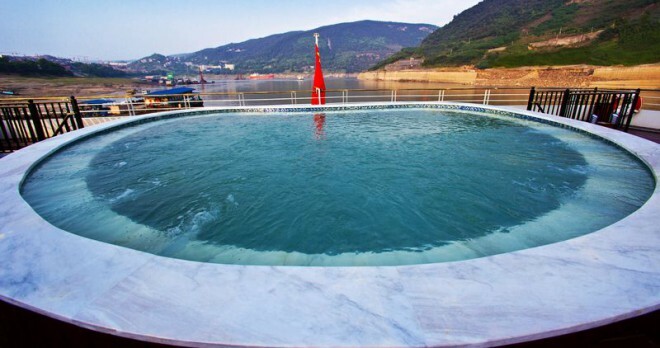 Design speed of 26 km/h, the largest capacity of 350 people. 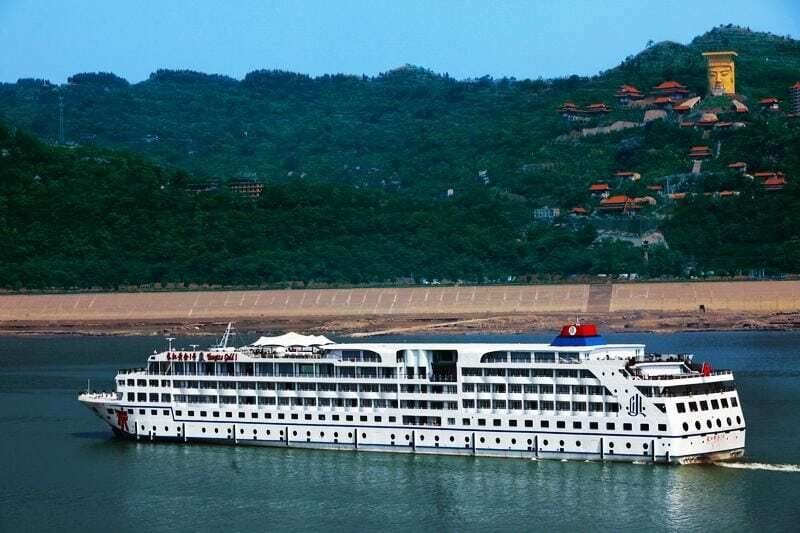 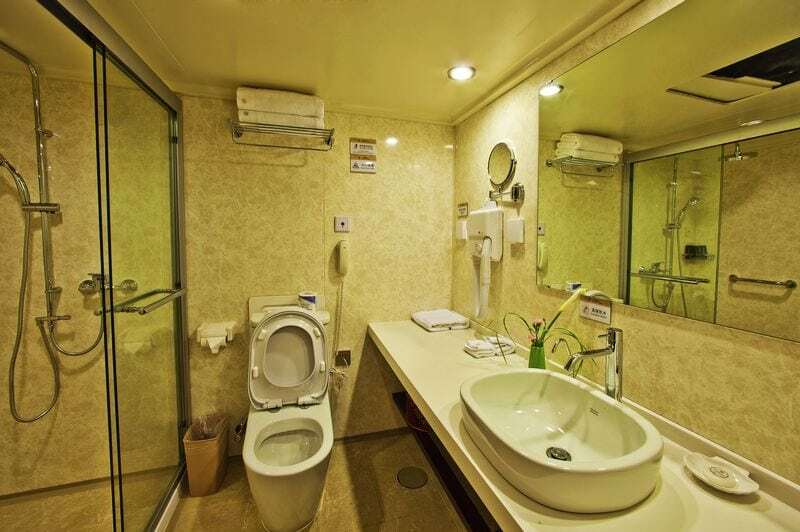 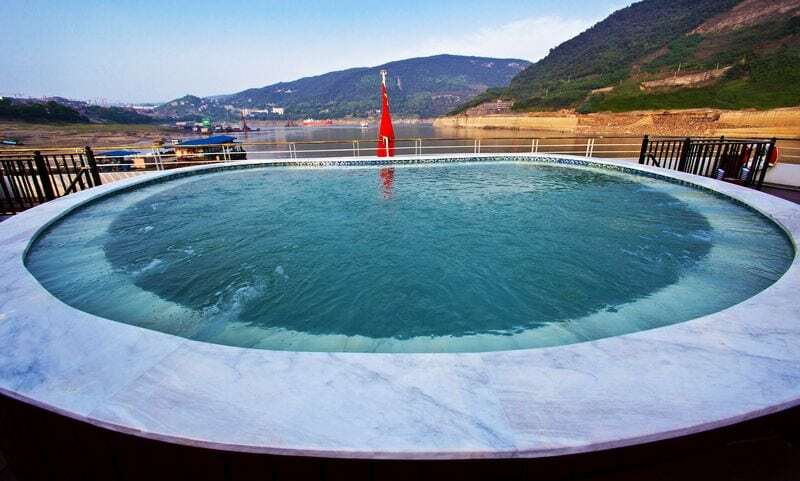 Not only can accommodate helicopters on board, you can also play golf, there are outdoor swimming pool, floating on the river like a five-star resort. 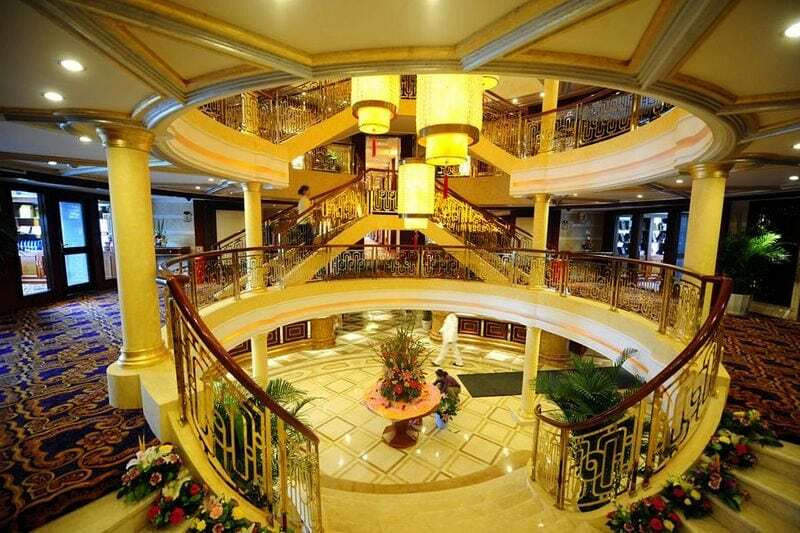 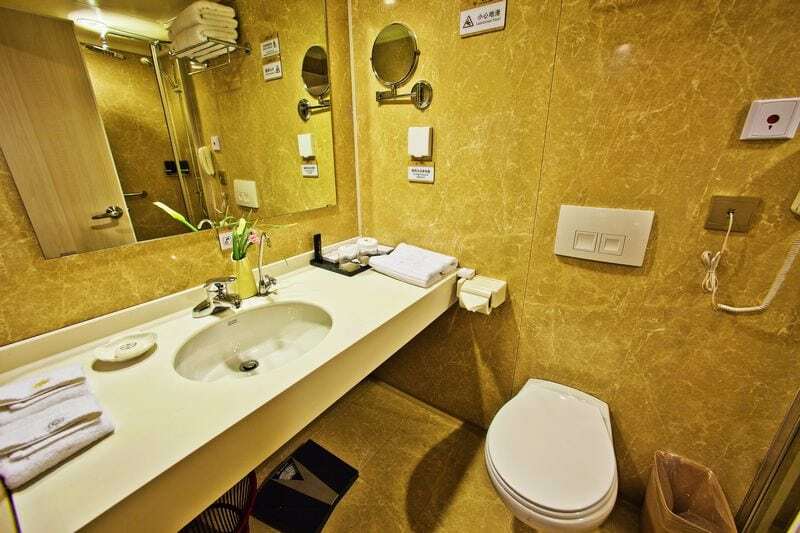 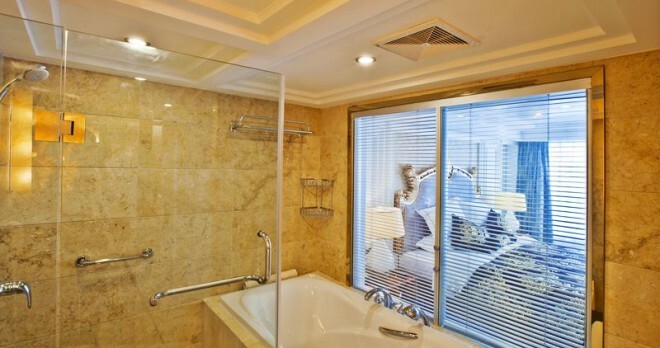 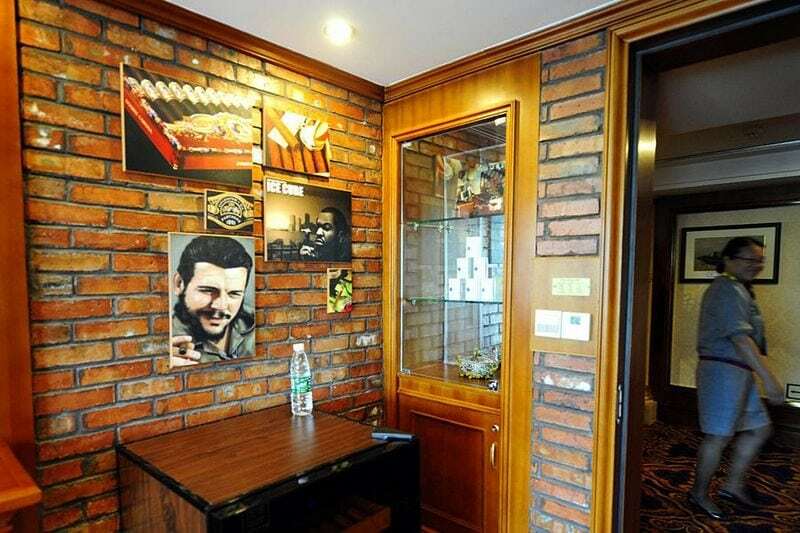 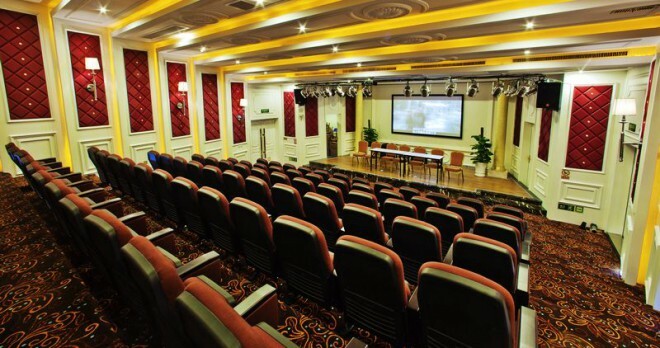 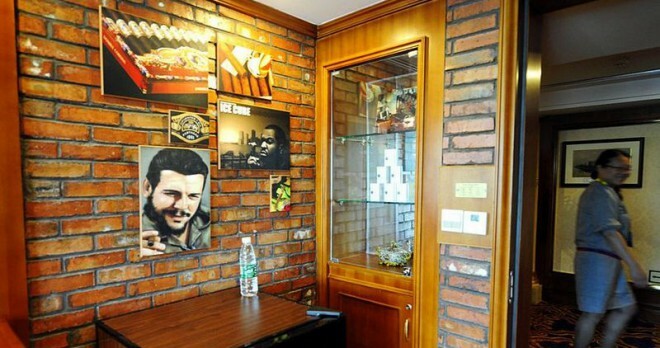 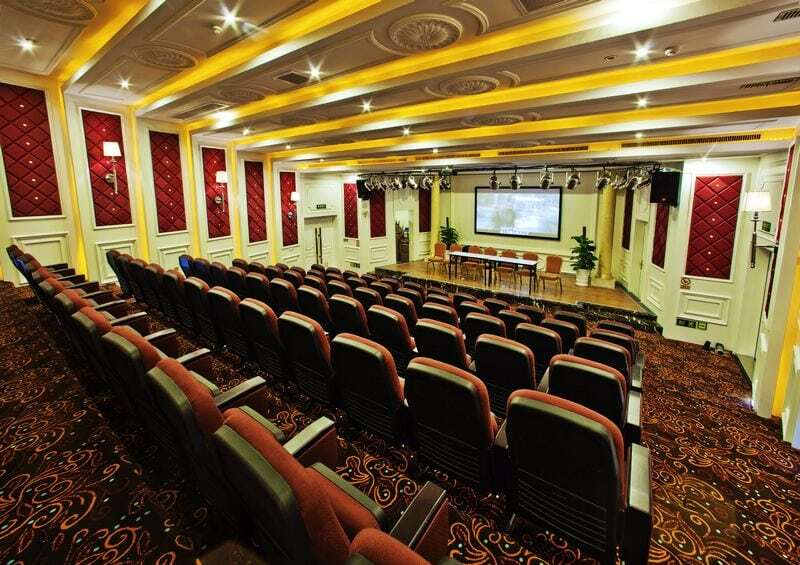 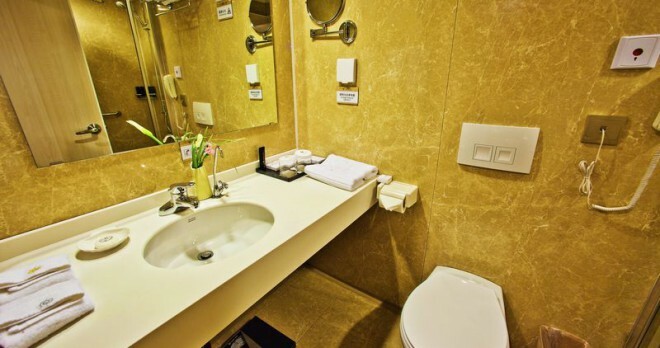 Yangtze Gold 1 has a large terrace, river view rooms, executive floors, commercial pedestrian street, famous snack bar, cigar bar, Internet clubs, library, children’s playground, sauna, Western and Chinese massage center, spa, multi-functional hall, outdoor swimming pool, simulated golf, theater and the business center, and is equipped with four sightseeing elevator.